Together with WFTV - 9 Family Connection, Track Shack supports Toys for Tots and encourages all runners and walkers to bring a new, unwrapped toy to the Reindeer Run at SeaWorld. THE GOAL IS 2000 TOYS! Come run or walk for a great cause and make a difference in the life of a child this holiday season! For more information go to:Toys For Tots. The Center for Pediatric Cancer & Blood Disorders and The Florida Center for Pediatric Cellular Therapy are dedicated to serve children and families from Central Florida and nationwide. As the region’s destination program for pediatric cancer, blood disorders, and bone marrow transplantation, the world-class team at Florida Hospital for Children treats wide ranging conditions such as leukemia, lymphoma, brain tumors, sickle cell anemia, hemophilia, thalassemia, and immune deficiency. We are also the first regional hospital to have both neuro-oncology and neurofibromatosis programs. 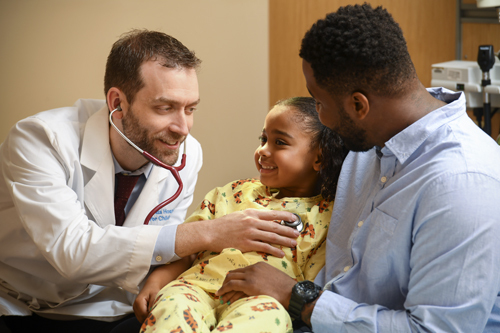 The program earned recognition by the Children’s Medical Services of Florida (CMS) as one of the few centers qualified to treat children born with sickle cell anemia and other potentially life-threatening blood disorders.